Studio C, a sketch comedy group dedicated to making funny, family-friendly videos, just posted a new video on May 26th, 2017, and it’s made it onto YouTube’s list of “trending” videos. 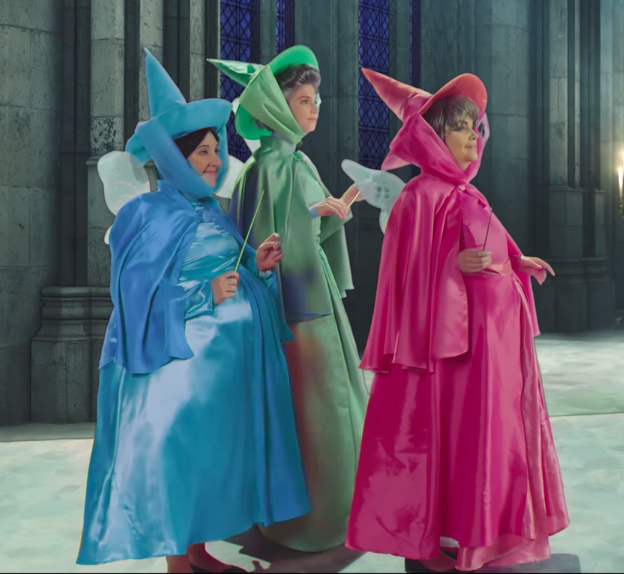 The video is called “Fairy Godmother Gifts”—a parody of the “three good fairies” from Disney’s Sleeping Beauty. The first two fairies give Sleeping Beauty the gifts of “beauty” and “song,” just like in the movie. However, Fauna, the third fairy, didn’t get the memo that they were supposed to give the baby attributes. She had brought a regular baby present. The other two fairies find that unacceptable and tell Fauna to think of an attribute to give to the princess. The rest of the sketch is about Fauna brainstorming gifts, none of which are very good. She can only think of gifts that the other two fairies do not approve of such as “the gift of being able to pick your nose at an intersection without getting caught.” At the end of the sketch, Maleficent, the villain, shows up and makes the same mistake as Fauna. One of the top commenters, Mary Horton, wrote, “Seriously impressed with the makeup crew. Natalie, Whitney, and Mallory look SO much like the actual good fairies!” It’s true. 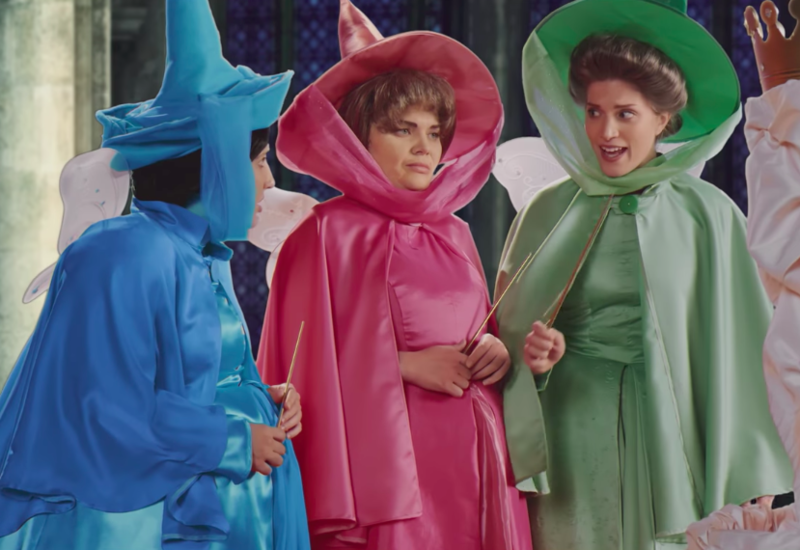 Studio C has gained a lot of momentum throughout the years, and so they have more money to spend on costumes, makeup, and special effects, which allows them to do even more creative sketches. Studio C started as a college comedy group who made sketches for BYUtv. Now, they have nearly 1.5 million subscribers on YouTube and are still growing. They are most famous for their sketch where a soccer player, Scott Sterling, played by Matt Meese, gets hit in the head repeatedly with a soccer ball. Their hilarious Scott Sterling video has over 50 million views on YouTube. Click below to see the full video, and click here to subscribe to Studio C’s channel.